Every child should have a good study table. A study table can be used as part of a school furniture set up and enables a child to read, write, draw and do projects with ease. 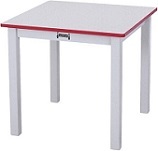 What is more, a high quality study table helps a child maintain proper posture as he or she works. There are several points to keep in mind when choosing school furniture. First of all, parents and school administrators will want to ensure that the new home or school furniture is made using top quality materials and workmanship. Office Chairs Discount provides a five year warranty on all its home and school furniture as a way of guaranteeing that it will be able to hold up to extensive wear and tear. Price is also important, as most parents and schools have a limited budget to work with. For this reason, Office Chairs Discount offers rock bottom prices on all its home and school furniture. Shipping is included in the purchase price of all products. High quality school furniture and home study furniture is not a luxury; it is a necessity. Taking the time to pick the study table or tables that are just right for you will help your children to learn, work and even play comfortably and while maintaining proper posture. Contact us to learn more about our large selection of kids office furniture or to place your order today.